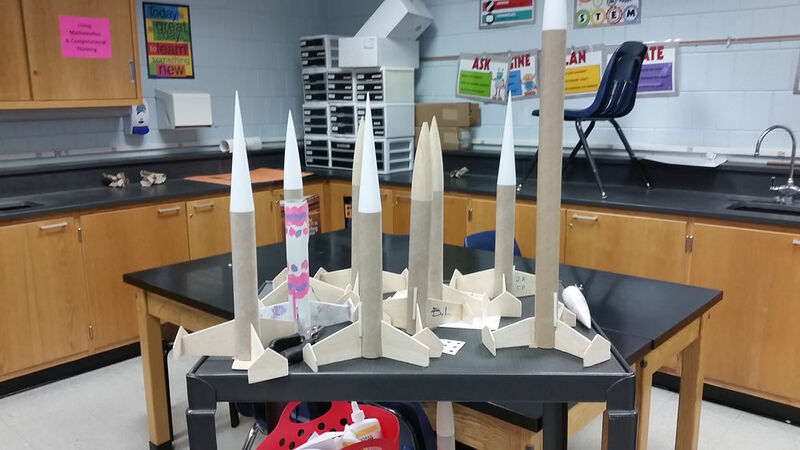 Students in 8th Grade STEM 1 Power Hour have been hard at work building model rockets. 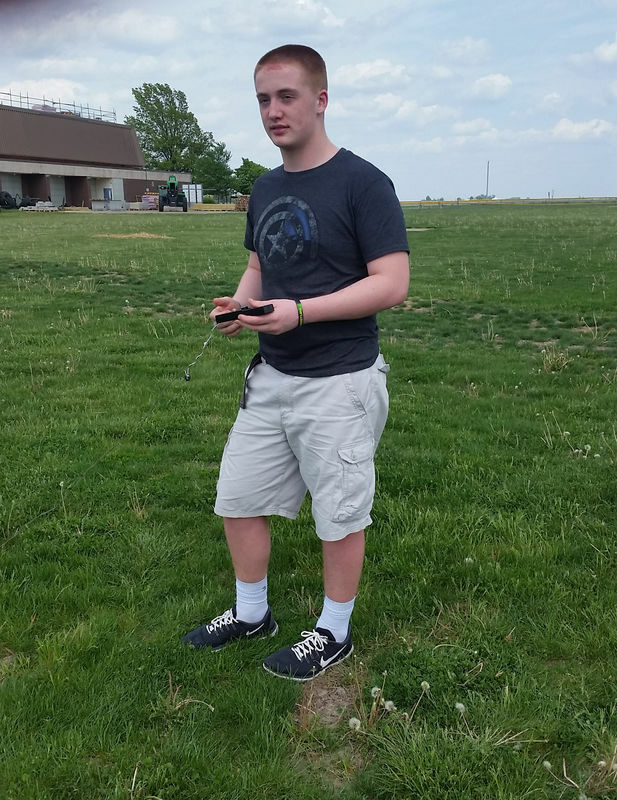 Today they prepped their rockets for launch and we took them out with the expectation of getting a few up into the air. First up was a well-constructed rocket built by John and Canyon. They set it up on the launch pad and we counted all down "3, 2, 1, GO!" Then we watched the rocket as it...just sat there in place on the launch pad. Two more tries with the same result told us we have some trouble shooting to do. It's all part of the learning process in STEM.